are there some dependencies for Unitronics.ComDriver.dll? When I try to run your example "Com Drive Net - Example - VB.Net.exe" (concent of NET Driver 2015 - Q4.zip). 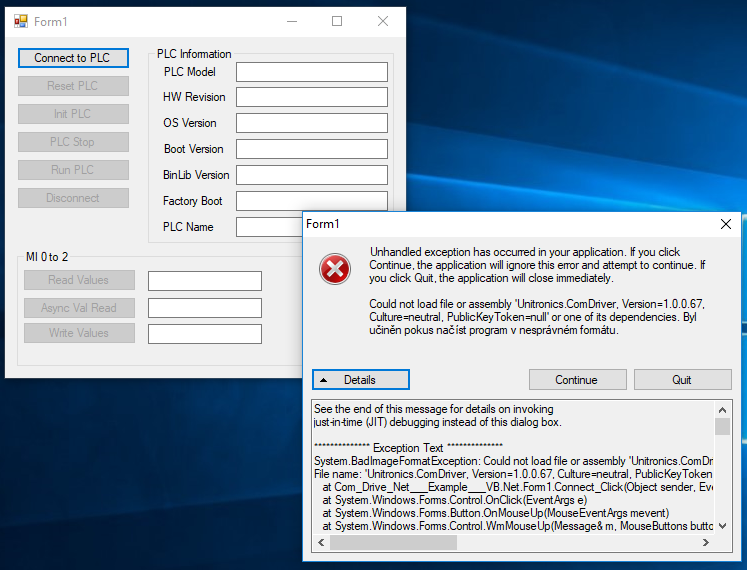 the exception (see below) appears when try to connect to PLC. Yes, its my first project with .NET driver, so I tried to inspire from your exe example, but it leads to the same failure. After recompilling for x86 is it OK.